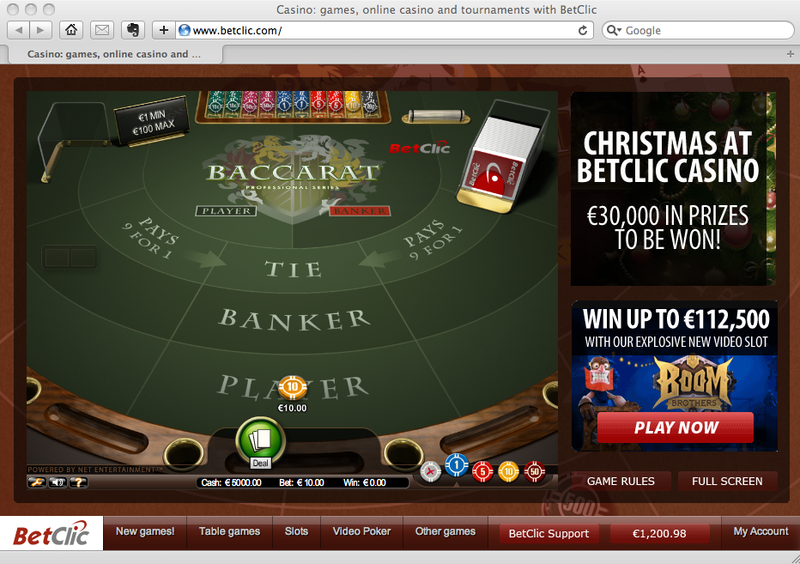 This week’s redesign is about BetClic‘s casino game “window”. 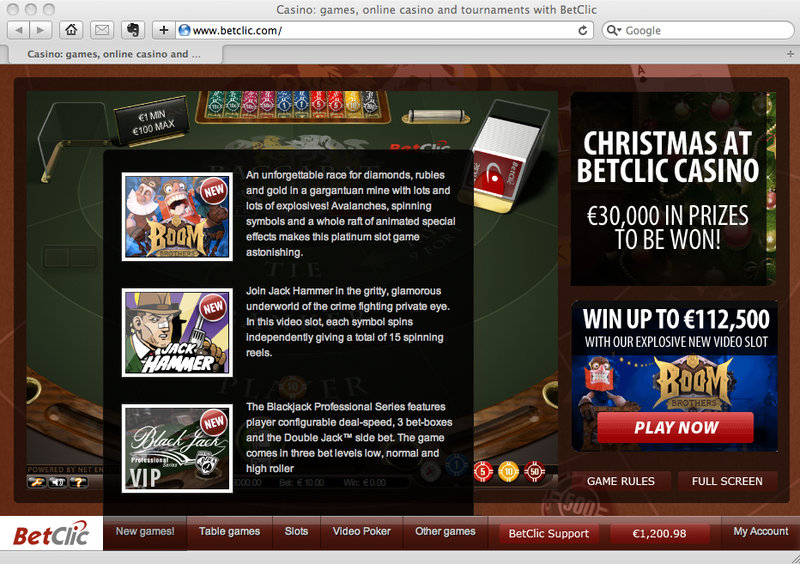 BetClic offer Net Entertainment casino games and the players have many different games to choose from. I choose to redesign the game “window” because it is very cluttered and doesn’t really offer a good way to find and select a game. 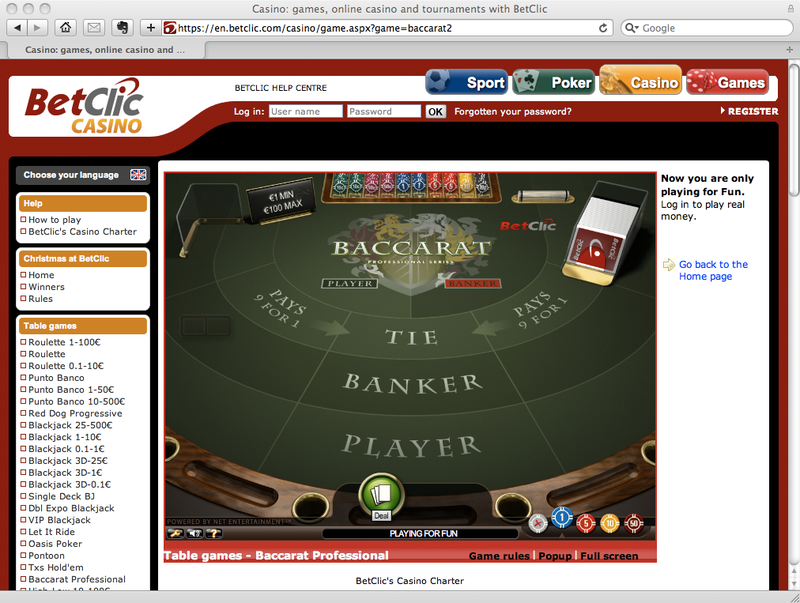 With a normal window size you only see the different table games offered and the player needs to scroll down to find another game he might like. There is also a lot of white space around the game making it feel like something is missing. In my redesign suggestion I’ve added a games menu at the bottom which always stays at the bottom of the window giving the player a quick way to find and start a new game. I’ve also added two information areas to the right which can be banners, top list, related games and so on. I’ve also added a background to the window which can change depending on choosen game. Image 2. Redesign showing how the bottom menu works. In image 2 you can see how the bottom menu would work. On mouse over you can see games in different categories (same ones as on BetClic today with “New games!” added). The bottom menu can also incorporate support, available amount and account details.